Working in the life sciences and biomedical industries requires creating the tools needed to perform research and provide healthcare services. Designing medical and biomedical devices require attention to detail and precision to ensure the tools are up to required standards. When performing welding services, having the right amount of gas delivered to the station allows technicians to complete the job by specified deadlines. However, the more workstations in the fabrication department, the more gas that will be used in an application. There is nothing worse than having a technician almost complete their part of the fabrication process when suddenly the gas cylinder is spent. A job that would have been completed in 2 minutes must now take another 30 minutes as a new gas cylinder must be fitted and to have the regulator adjusted for the right pressure and flow. Now imagine this scenario happening with multiple workstation locations in the factory, or several technicians who may require more pressure and flow to their gas supplies. With the rise in costs in gas cylinder rentals and lost productivity, this can impact the medical device output for OEM companies. Having a more efficient method to gas delivery at multiple stations can be accomplished with the use of gas boxes provided by Axenics. 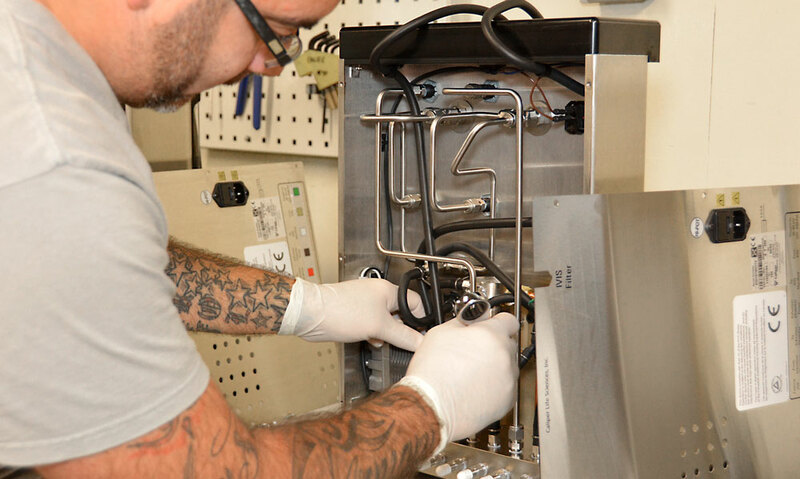 Axenics provides OEM biomedical companies with customized design, engineering and manufacturing of gas boxes for their factories. Gas boxes will allow you to have a centralized location for your gas cylinders and regulators as pipe lines run to output locations at multiple workstations. This setup provides greater control over gas output, rate, and pressure. When the main gas cylinder supply runs low and drops below a specified PSI setting, the reserve cylinders are accessed through the regulator. So technicians can continue working uninterrupted to complete the application. Manual Switchover: multiple cylinders placed into the manifold with an outlet that has a pressure-reducing regulator. These systems require constant monitoring to switch out used cylinders. Primary/Secondary Reserve Switchover: You have a main bank of cylinders in operation and a secondary reserve bank of cylinders. Each bank feeds into the line as the main cylinder reserve is normally set at a higher PSI than the secondary reserve. When gas delivery supply drops below the set PSI, the secondary reserve cylinders begin feeding the system as the depleted cylinders from the main bank can be replaced. 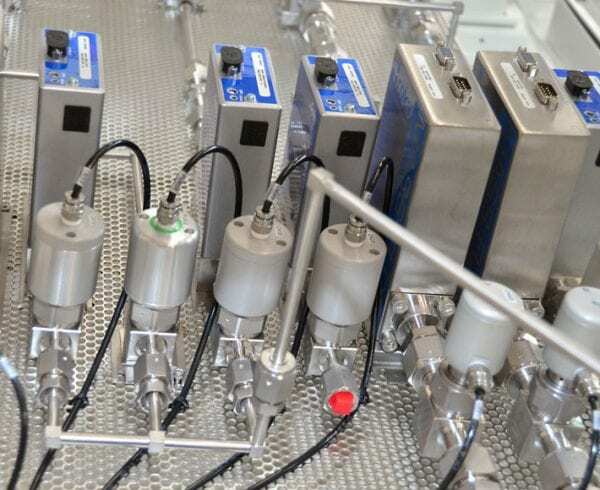 Fully Automatic Switchover: These switchover systems are more automated as the manifold uses pressure sensors to monitor the gas supply until it reaches a pre-determined pressure setting. Then the system will close off the main supply bank regulator and use the reserve bank. Semi-Automatic Switchover: Some semiautomatic systems can be set with two pressure settings for the main supply bank, a high setting (such as 300 psi) and a lower setting of 100 psi. Then the secondary reserve bank can be set at 200 psi. 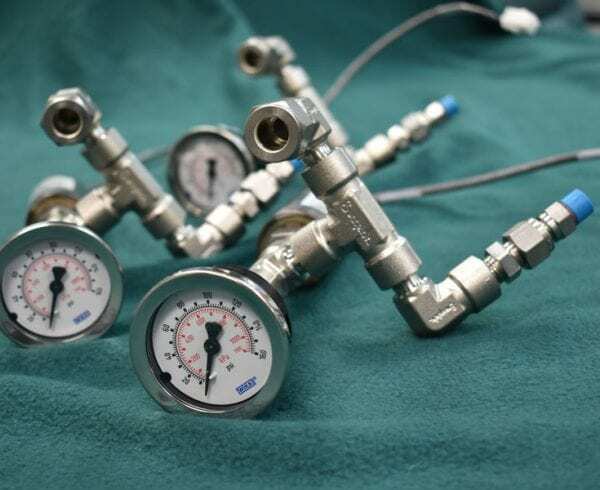 When pressure drops below 300 psi for the main bank, the regulator will automatically open to let the secondary gas supply bank to feed the system. A technician can then use a lever to switch the main cylinder bank to the lower 100 psi setting. Once the secondary reserve cylinders drop below 200 psi, the main cylinder supply is re-accessed. As operations grow bigger, your gas supply needs increase. Axenics’ gas delivery systems can help biomedical OEM companies better track their supply consumption. They can monitor the number of cylinder change-outs based on the application. Then they can rent the appropriate number of cylinders as well as determine other cost-effective ways to perform certain welding applications. Since gas boxes allow for all technicians to use the same gas supply, you can more efficiently use up a single gas cylinder at a time without having half-full canisters scattered throughout the facility. Biomedical companies can reduce safety hazards with less cylinders scattered around the facility as they can be kept in just one location.